1. What better accessories to wear to the queen of love's concert? (And a peek at my RED dress!) 2. Lobster roll before the concert at Arashi Sushi. So yummy! 3. Taylor, Andy and myself :) 4. Taylor! Her outfits were incredible! 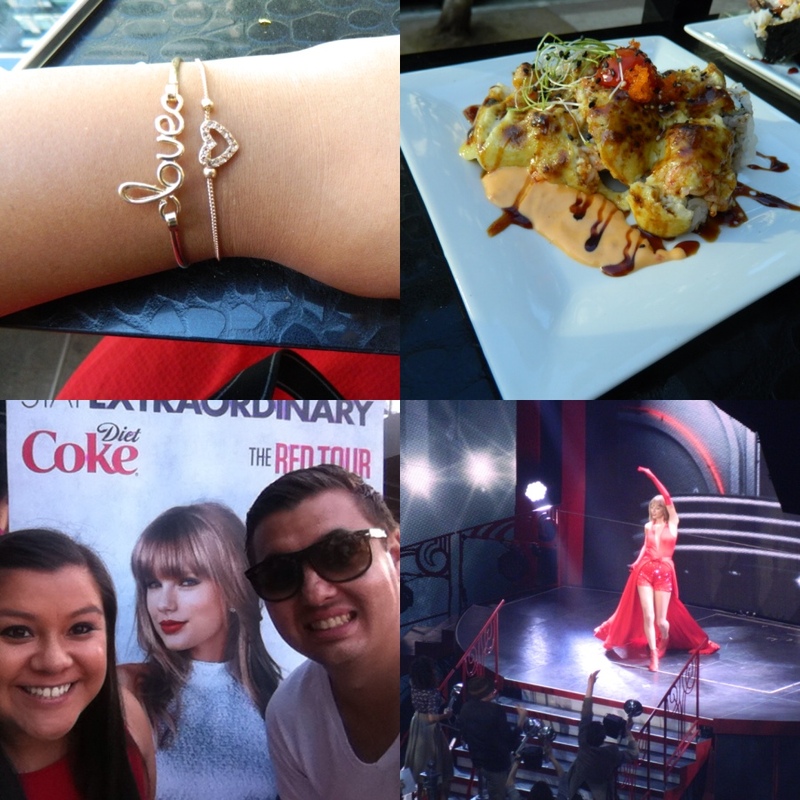 Monday night Andy and I saw Taylor Swift at the Staples Center. She's my FAVORITE, so I was beyond excited! I have no words to describe her show. Fireworks, dancers, confetti, people on stilts, you name it, her show's got it! Every stage and costume change made me feel like I was watching a different concert each time-in a good way. She has some serious talent, though we all knew that already! Her performance really exceeded my expectations. I wish I could elaborate more, but I can't. Really, no words. Tuesday night we took my niece and nephew to a baseball game. It was fun to see how excited they were to attend their first game! I don't really understand baseball, but I was quite pleased that my nail polish matched the team we were rooting for! This is Duke, our puppy. He's been growing like crazy and is extremely rambunctious. 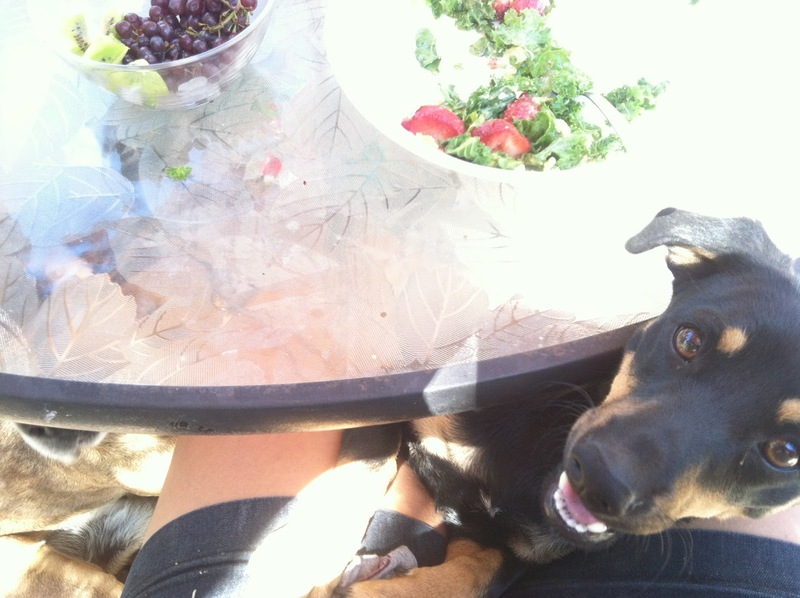 Andy and I had lunch in our backyard on Tuesday and Duke was really persistent about getting a few bites of my meal. How can you resist his cute face you ask? I can't. He always wins! Andy and I just started watching Pretty Little Liars (WHERE HAVE WE BEEN?!?). We can't stop watching, and we're both bursting wanting to know who A is! I see a lot of sleeping, eating, and PLL watching this weekend! Have a wonderful weekend and thank you for reading!